So, those who say we cannot truly follow Christ turn out to be correct in a sense. 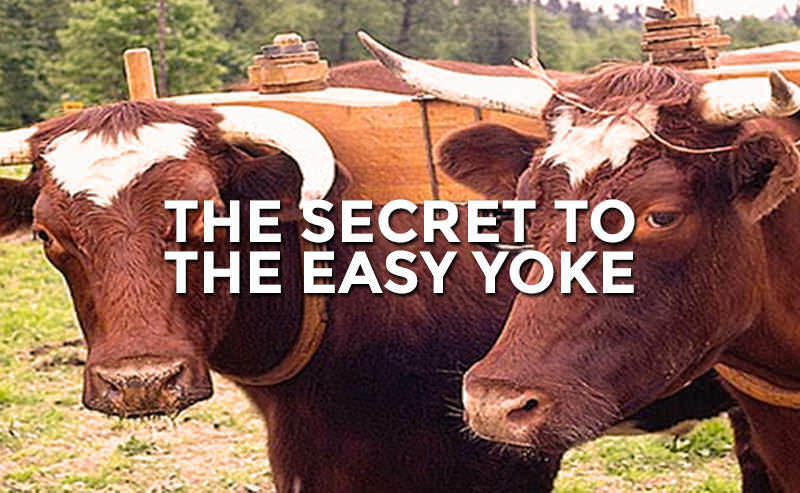 We cannot behave “on the spot” as he did and taught if in the rest of our time we live as everybody else does… The secret of the easy yoke, then, is to learn from Christ how to live our total lives, how to invest all our time and our energies of mind and body as he did. Willard, much like the apostle Paul, likens the Christian life to practical things such as athletics. He clearly lets the reader know that it is ridiculous for us to think we will ever be able to overcome temptation and behave in godliness in the midst of a trying moment without prescribing ourselves to a certain overall way of living. For instance, if someone wanted to become an professional long-distance-runner we wouldn’t recommend they sign up for the next city marathon. Instead, we would recommend they begin rigorous daily training, drastically adjust their diet, and dedicate themselves to begin running just a few miles every day. Willard helps us to understand that to be like Jesus is not to merely respond the way He did in the heat of the moment, but to choose to live like he did in our everyday lives. One thing that Jesus was notorious for is found in the Gospel of Luke. The Scripture says, “But Jesus often withdrew to lonely places and prayed.” The reality is Jesus lived a life of discipline, and because of this we should strive to do the same. Those of us who understand even the slightest bit of the message of the Gospel know the spiritual disciplines should not (and cannot) ever be used as a way of earning God’s favor. In John’s first epistle he writes, “He [Jesus] is the propitiation for our sins…” The very definition of a “propitiation” is an action meant to regain someone’s favor or a way of making-up for a wrong that was done. It is not by our own works, but because of the perfect work of Jesus that God the Father chooses to look favorably upon us. However, the spiritual disciplines are still vital to our spiritual health. It is perhaps better to view the disciplines as not an activity, but a place.The disciplines are a way of creating space for God to come and change us. By engaging in any of the spiritual disciplines we are voluntarily choosing to climb up on the surgeon’s table, strap ourselves in, and simply wait. We are trusting that God is working on us whether we come away with a profound revelation we can write down in our journal or not. In all the spiritual disciplines, whether it be prayer, fasting, solitude, silence, study, or even celebration, we are simply allowing the “surgeon” to take out his scalpel, cut open our chest, and begin to work on our heart. Many times there will not be an immediate take-away from this experience. There may not be anything to show. Regardless, we should consistently and frequently create space through the disciplines for God to come and change us. We are not trusting that He might change us, but that He is.